CLICK HERE to view this newsletter as a web page. 2019 Sequoyah Masterlists! Sequoyah Discount! Perma-Bound is offering a SPECIAL DISCOUNT! You will receive a special discount of $15 off any $150 Sequoyah order or $30 off of a $300 Sequoyah order. Unfortunately, this code can only be used once per school. PLEASE FORWARD THIS EMAIL TO YOUR COLLEAGUES. THANK YOU! The 2019 Oklahoma Sequoyah Book Award Masterlists are on on the Perma-Bound website now! Thank you for your patience as Perma-Bound works feverishly to obtain stock of every title and bind them with their strong, beautiful binding over the upcoming few weeks. Why are the prices higher than last year? The Sequoyah program adopted newer copyright restrictions, resulting in more first-edition books in the lists, leading to higher prices. The promo code will help lower prices for you. Don't forget to use promo code OKS18 when you order - it expires July 18th! Why Purchase Your Sequoyah Books from Perma-Bound? 1. Your Sequoyah books will experience heavy circulation, and Perma-Bound books are beautiful, guaranteed, and built to last. 2. Perma-Bound customers receive access to our exclusive Sequoyah author videos in August. Everyone else receives them after Thanksgiving. 3. Our amazing Sequoyah posters and bookmarks are free at the OLA and OTA conference, but only Perma-Bound customers can request the posters and bookmarks by mail. 4. My brother and I have been supporting the Sequoyah Book Award program with free promotional materials and videos for the past 20 years. We love this program and we really appreciate those who support our efforts. OLA 2017 - Are You Going?? 1. Authors Kwame Alexander, Ryan Graudin, and Lois Ruby will be accepting their 2017 Sequoyah Awards on the 23rd. 2. Great professional development opportunities/sessions. 3. It's a time to re-energize, collaborate, and meet colleagues from across OK.
4. Visit with the Brown Brothers and pick up your 2019 Sequoyah posters! 1. Meet Sequoyah and Redbud authors. 5. The Sequoyah videos Perma-Bound customers received in August will be available to non-customers. 6. THE ANNUAL PERMA-BOUND PARTY! 2018 SEQUOYAH BOOK AWARD VOTING IS OPEN! Now through March 15th. Every vote counts! 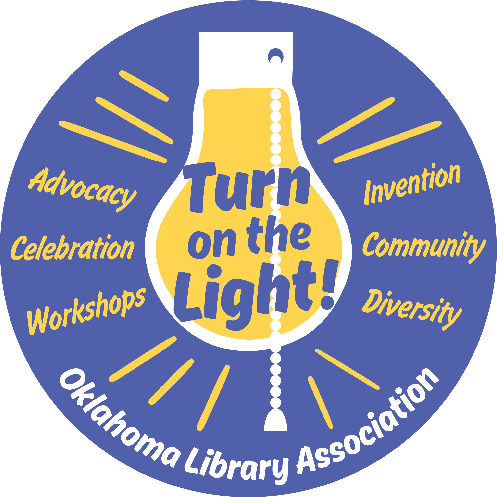 Submit your school vote totals at the Oklahoma Library Association Sequoyah page. The Sequoyah committees are planning to reveal the 2018 winners via live event online - March 30th. Thank you so much for your service to the students of Oklahoma, and for your dedication to promote the Sequoyah Book Award program at your school. I am here to support you and serve you any time. Please never hesitate to contact me by phone or email.